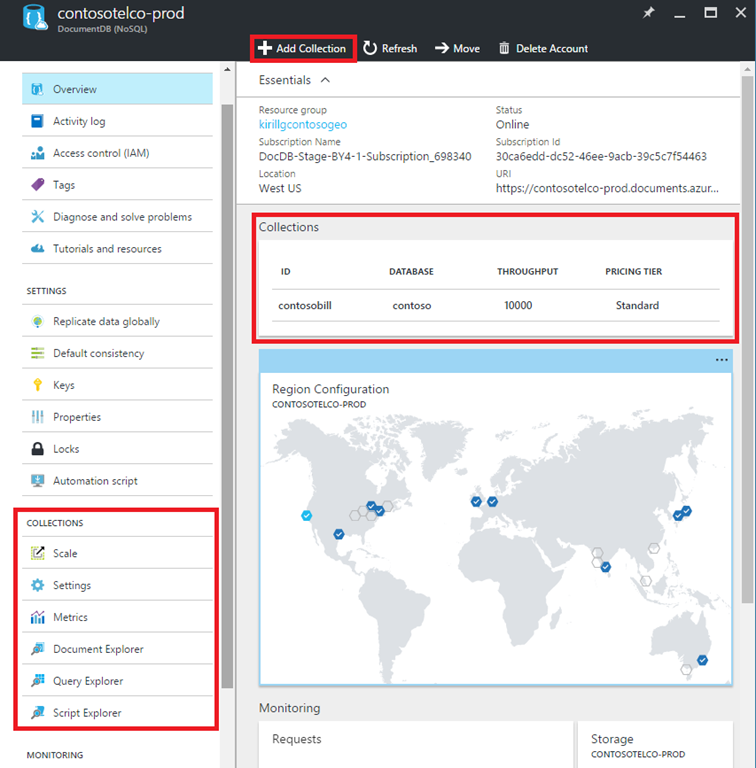 Recently we released several updates to the Azure DocumentDB portal experience. We added a new consolidated metrics experience with several new metrics available including new availability, throughput, consistency, and latency metrics which allows you to track how DocumentDB is meeting its SLA's. We also streamlined collection management by surfacing all collection operations and experiences on the left navigation bar, and eliminated excessive horizontal scrolling. You can also zoom in and navigate to the standard metrics experience for the individual charts via zoom-in gesture. DocumentDB stores data in collections, and majority of your time working with DocumentDB is spent working with collections. With this portal change, we bring collections front and center in the portal experience and eliminate the excessive horizontal scrolling you used to encounter when working in the portal. The overview blade now provides one-click access to collections, as well as "Add Collection" command. All collection management experiences and tools are now available on the left navigation menu. With this update, we eliminated the need for horizontal scrolling when working with DocumentDB in Azure portal. 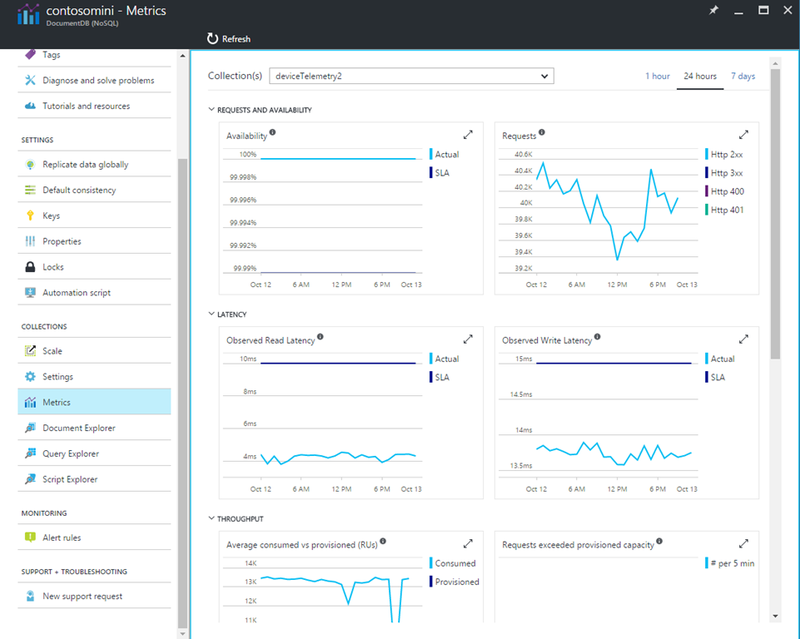 We hope these new features will make your time in the Azure portal more efficient and provide you with the monitoring information that’s most important to you. As always, let us know how we are doing and what improvements you'd like to see going forward through Uservoice, StackOverflow #azure-documentdb, or Twitter @documentdb.